For questions or more information about any of our products and services, please email or call us at 877-843-0183. Questions about convenience store design or walk in coolers? Give us a call! We are your convenience store design consultants. For questions or more information about any of our products and services, please email or call us at 877-843-0183. 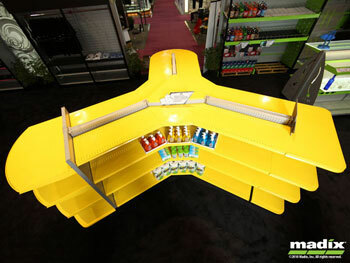 Our Gondola/Wall Shelving provides retailers with a number of options for customizing each store’s fixture layout. 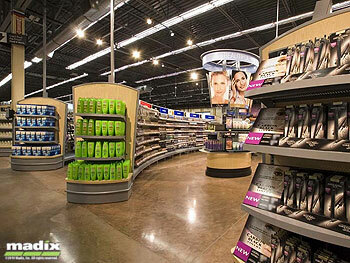 Whether you need Gondolas, Wall Shelving, End Caps, or Three-and Four-Way Merchandisers; Jaycomp Development can match your needs with the options and design that best fits your merchandising needs. 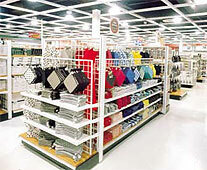 The thousands of accessories available for Gondola/Wall Shelving address the particular needs of each store. All parts and accessories install easily. 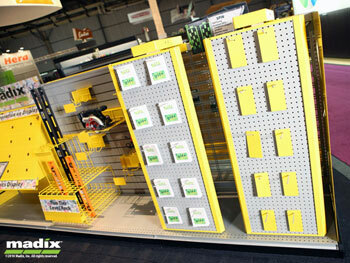 Madix Gondola ShelvingOur Shelving systems are strong and versatile. Each shelf has slim, sturdy, multi-position steel brackets that allow the shelf to be used in multiple merchandising arrangements. 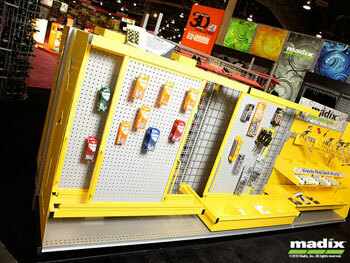 The shelf diversity provides increased product visibility while reducing the wasted space caused by bulky brackets.